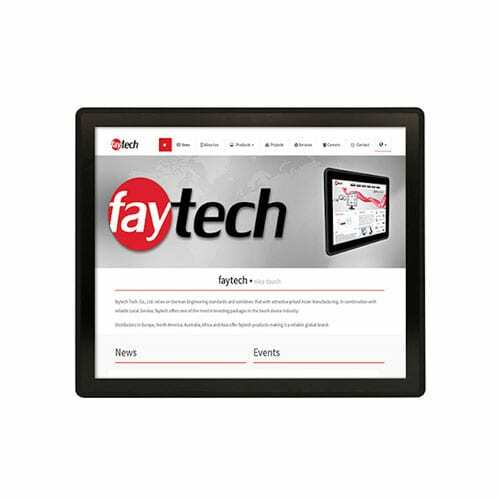 faytech´s Capacitive Touch Monitor series has a modern sleek look with its flat edge to edge glass front panels, and a patented silicone rubberized seal making the front panels IP65 water- and dust proof. 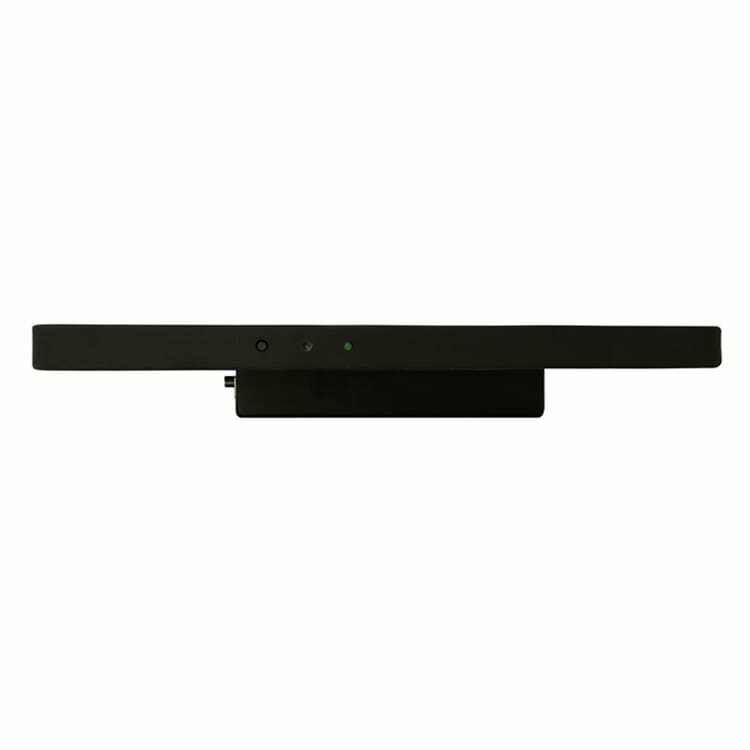 This new series comes with capacitive 10-finger multi-touch, glass front reaching MosH 7, the glass surface is anti glare treated (chemical etched), a wide variety of connectors including USB-B for touch, HDMI, DVI-D, VGA and audio inputs, all lockable including the DC-In. 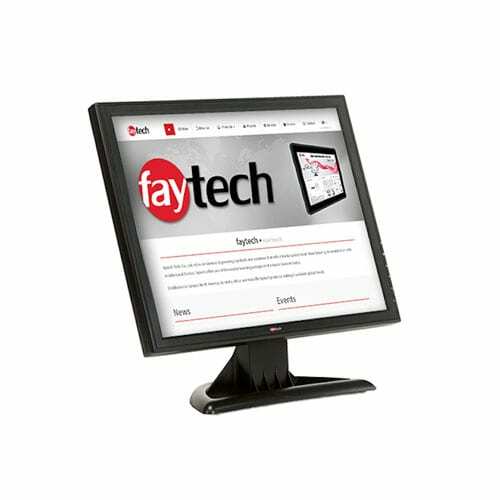 Each capacitive Touch Monitor has an A+ industrial LCD panel backed by faytech’s 100% no dead pixel guarantee. Each monitor from 13.3” and up comes with its own desktop stand, and screw patterns on the back for VESA 100 mounts. The high resolution support (e.g. 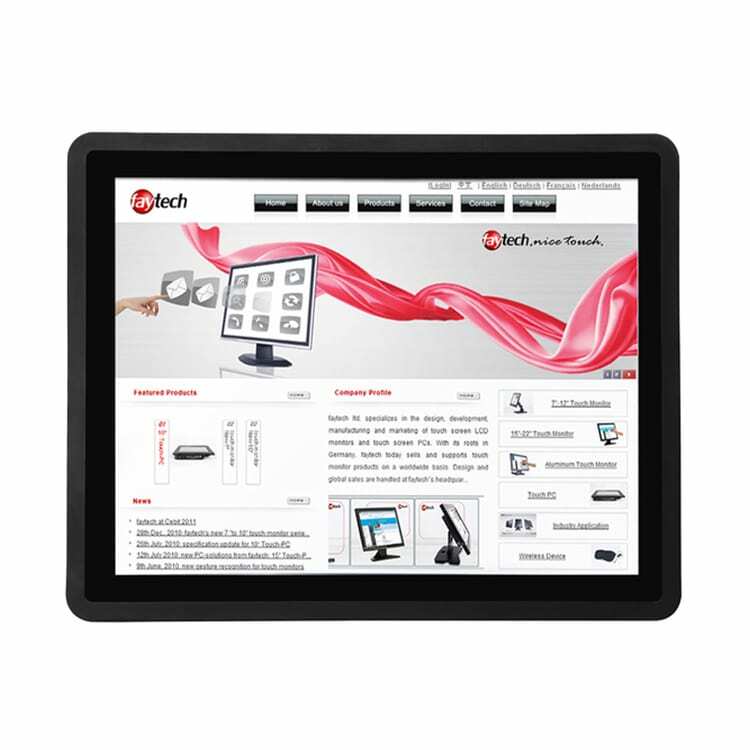 768p, 1920Å~1200 pixels) of these faytech touch devices make them the perfect choice for a wide variety of applications including POS systems, as control panels in industrial fields, in kiosk systems, for office/residence automation and many other areas. The projected 10-point capacitive touch panel is accurate and responsive. The touch function is quickly established when connected via USB port. faytech includes touch drivers for popular OS ( Win CE, XP, Vista, 7, 8, 10), Mac, Android and Linux. Normally, no touch driver needed for Win 7, 8 and 10. The virtual keyboard and Windows gesture makes Windows convenient to use. Besides, embedded systems, such as Raspberry Pi, are supported as well. 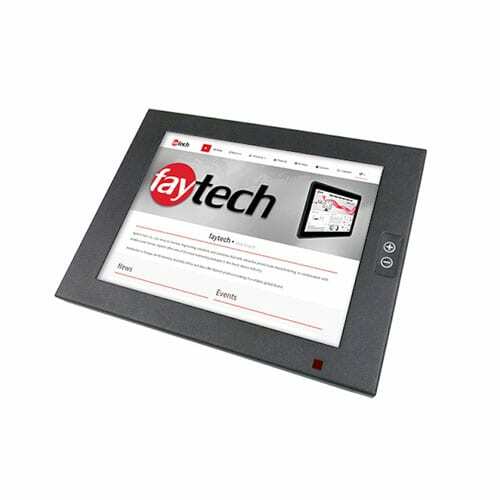 faytech 15 – 21.5″ Capacitive Touch Monitors would be a great addition to residential systems that are automated, or serving as internal/external interfaces in apartment or condominium lobbies. The faytech touch displays make for stylish directories, security system interfaces, utility controls and any other system that requires a digital interface. 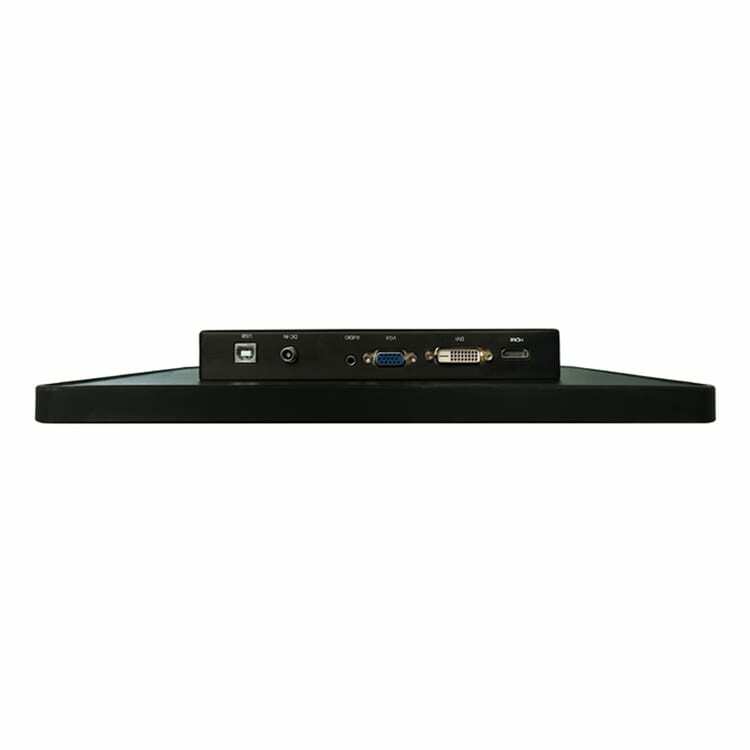 In an educational setting, the faytech 15 – 21.5″ Capacitive Touch displays would be a solid addition to classrooms for learning interactions, personnel management, scheduling systems, inventory management and digital signage to manage events. Retail environments like department and mall stores will find the faytech 15 – 21.5″ Capacitive Touch Monitor mid-sized technologies a great addition as they allow streamlined ways for customers to check inventories without being dependent upon store personnel and to even request items in storage for in-store checkout.. faytech’s capacitive screen displays integrate perfectly with a variety of software applications program to facilitate the sales of products or services. 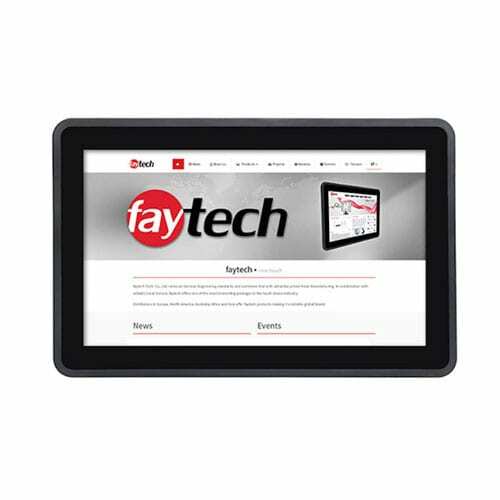 At faytech, it is our mission to manufacture high quality capacitive touchscreen solutions that enhance productivity, increase revenues and optimize performance for our customers. If you can imagine the benefits of integrating our capacitive touch display technologies into your environment but you are not sure what the best solution would be, then just contact us. Our capacitive touch experts will answer your questions and can help you identify the perfect capacitive touch solution. We know faytech can provide a capacitive touch solution that will be the perfect solution for what you have in mind. Contact us with any questions you might have.